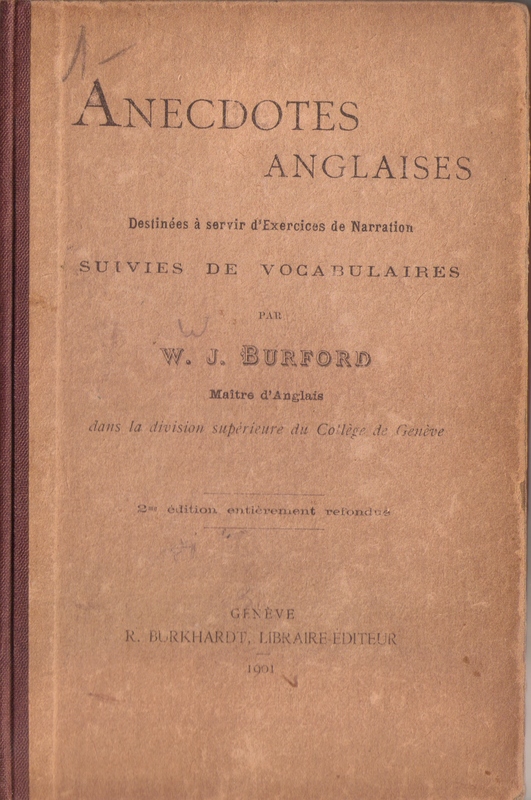 The pictures show my great grandfather, who was a teacher of English as Foreign Language in Geneva at the turn of the last century, and one of the ELT Books he wrote (this is a second edition in 1901). So you see, teaching and writing ELT materials must be genetic! The author uses this book as follows: he reads the stories phrase by phrase, the pupils translate without seeing the book. Afterwards, they read the stories and tell them in English. 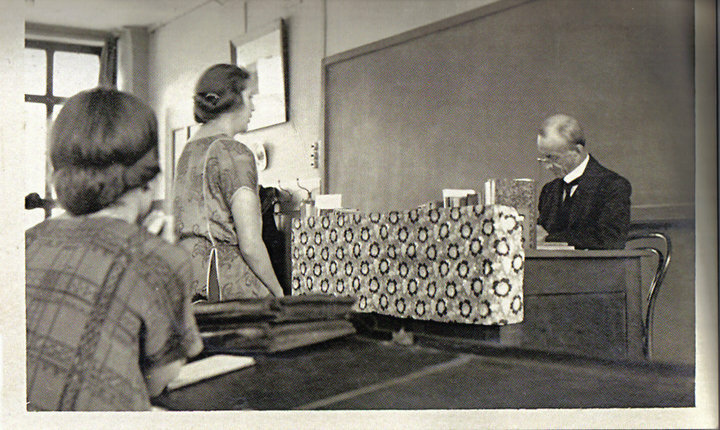 For the next lesson the students study and tell the stories; the teacher tells them in French. If you want to make the students’ task easier, you can question them. When you attack the longer passages in the stories, let them translate for themselves before you give them the exact translation. Note, however, that the stories should not be studied in depth before the lesson. It is enough to go over the vocabulary. This method gives students confidence in their own abilities, gives them the facility to understand and to speak, and teaches them a lot of words, idioms and phrases in an enjoyable way. Just lately I have been doing some reading on the subject of extensive reading (ER), inspired by seeing Philip Prowse at the Brasshouse Conference the other week, and also Jez Uden’s great presentation on the British Council seminar series. 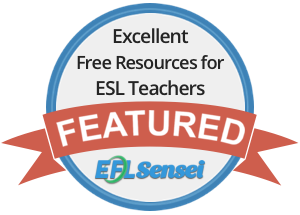 There seems to be a lot of evidence that ER does help with developing all aspects of language, including speaking. Perhaps the most research has been done into how ER can help to develop vocabulary. Most people would agree that we learn vocabulary through being repeatedly exposed to it in meaningful contexts, and it is difficult (and probably uninspiring) for lessons or coursebooks to recycle vocabulary 10-20 times. If we read extensively, however, we will be exposed to frequent items many times. There is also evidence to suggest (Pigada and Schmitt 2006) that being exposed to lexis in this way also helps learners to acquire more about a word or phrase than just its meaning (i.e. exactly how it is used, its grammar and its spelling). However, there is also evidence that (unsurprisingly when you think about it) learners need to do an awful lot of reading in order to meet most words and phrases enough times to acquire them. One solution is simplified readers, with their limited number of words. These can also be more motivating, as it is suggested that anything above 10% of unknown words will be demotivating for a reader. (Of course, it also depends if the readers are intrinsically interesting). Another solution is what is known as ‘narrow reading’. The idea here is that rather than reading widely, learners read narrowly- around the same topic. In this way they will keep coming across the same lexical items. In How to Teach Vocabulary, Scott Thornbury suggests one way of doing this by asking learners to follow a particular news story on different websites, or over a period of time. They can then report back to other class members on the news story they chose (thus using the vocabulary). It seems to me that, while we probably don’t want students reading word by word with dictionaries in hand, there is probably a benefit in having some intentional vocabulary learning as well as incidental learning. There is certainly some evidence that a combination of the two leads to the greatest gain in vocabulary acquisition. So perhaps we could ask learners to carry out some of the following follow up activities after reading, rather than asking comprehension questions- or for the dreaded book report? Ask students to select a number of lexical items they didn’t know but think they might find useful. Then ask them to look them up in a good learner dictionary and find out how frequent they are, and based on that choose 6-7 to consciously learn. Ask students to note down any new words that they noticed were repeated a number of times in the text. They can then decide if they think these words were repeated because they related to the topic, or if they are in fact high frequency words. If learners have been reading the same text, you could go through it and select some common collocational phrases (such as those listed on Leo Selivan’s blog) and give them the beginning of each phrase to complete. They could either check their ideas in the text itself (obviously with a page or line reference), or use an online corpus tool like Netspeak. Essentially these are all ways of making language noticeable or salient to learners, which should go hand in hand with all the benefits of simply reading, or as one of my favourite acronyms for extensive reading has it- DEAR (drop everything and read).